19. 5. 18 - WRWS/FN - Mautpflicht wird ausgeweitet. Ab 1. Juli sind Lkw auch auf Bundesstraßen mautpflichtig. Seit 2005 herrscht auf bundesdeutschen Autobahnen die Mautpflicht für Lkw. Ab 1. Juli wird das Mautsystem auch auf Bundesstraßen ausgeweitet. Betroffen davon sind auch die meisten Pferdetransporter. Darüber hinaus wurden Möglichkeiten zur Mautbefreiung in den vergangenen Jahren weiter eingeschränkt. 18. 5. 18 - WRWS/NRHA - - New Opportunities for NRHA – Futurity and Derby Dates. Board members discussed several topics related to NRHA-owned events during their May 2018 meeting. Among those topics was the opportunity to secure more dates for the NRHA Futurity & Adequan® North American Affiliate Championship Show starting in 2019, as well as to shift the NRHA Derby up one week in the calendar. Presented with an unusual offering, the board talked at length about many scenarios including pros and cons to the option. In the end, they were excited about the potential. “Doors like this don’t open very often, so we took a good, hard look at how this could help us further solidify the event for the future. What could we do to help exhibitors, owners and fans have a better experience? What possibilities could we explore that we can’t today because we just don’t have enough days or hours in those days? Let’s take this opportunity and see what we can make of it for the sport and the horse,” said NRHA President Mike Deer. The NRHA Aged Events Committee will consider these concerns and create a recommended schedule for the board to review at an upcoming meeting. The available 2019 dates, which include move-in days, are listed below. 14. 5. 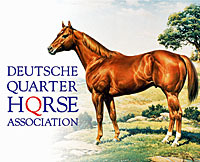 18 - WRWS/AQHA - Mitmachen beim AQHA-Fotowettbewerb!